What makes a salesperson successful? It’s not common characteristics like ambition, initiative, self-confidence, and tack. The answer is Behavior Style and Motivation! Great sales people are highly aware that behavior and motivation drive their sales results. 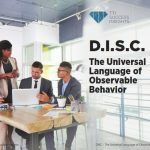 Sales professionals can use DISC & Motivating Driving Forces to identify their own and each customer’s style. Sales pros learn how they can adapt their approach to each call and compliment the buyer’s style improving results. Professionals who identify each customer’s style and prepare for each unique customer interaction make the sale. Use Selling with STYLE to fine-tune your interactions and sales process. So what’s your natural selling style? Watch this 9min video and find out (at least your best guess). You can probably identify with one or more of the DiSandC core styles. Understanding your own style is a third of the battle. Recognizing your customer’s style is another third. What is your customer’s style? But if you you don’t adapt, bad things happen. So what goes wrong if a high “S” style is selling to a high “D” customer? The high “S” salesperson wants to be supportive and does not want to appear to “force” anything. This includes offering his opinion even when being asked. However the high “D” customer wants quick answers and his opinion so she can make up her mind and move on. Bottom-line oriented and sensitive to her time, she is easily frustrated. It’s the little things when it comes to adapting our sales style and improving our results. 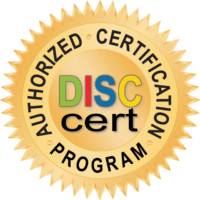 The high “D” client respects direct and confident answers and the ability to control the outcome (a choice in the matter). Here is a link to some additional tips for selling with style. Remember no two people are the same and understanding your customer’s behavior, motivation and emotional needs trumps the information that you are sharing when it comes to the buying decision. Request a Selling with Style self-assessment and 1-hour coaching session, info@insights2improvement.com ($99 a 75% discount to my readers). You will identify your sales style and tendencies and we will debrief your feedback results. You will be able to select 3-key action items that will improve your sales success in the next 30-days. Or, bring Selling with Style into your organization – talk with us about working with your team.